This topic describes how to configure Meraki Firewall VPN to use OneLogin as a RADIUS server. 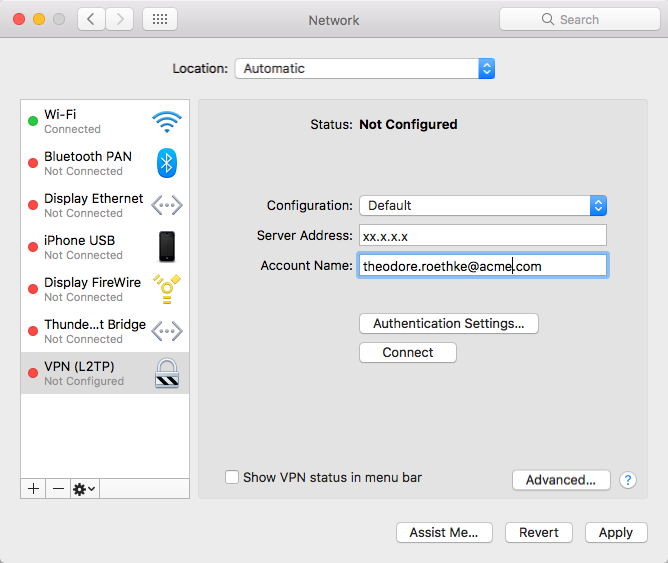 It also describes how to configure Mac OS X devices so that users can connect to the Meraki Firewall VPN service using their OneLogin credentials. 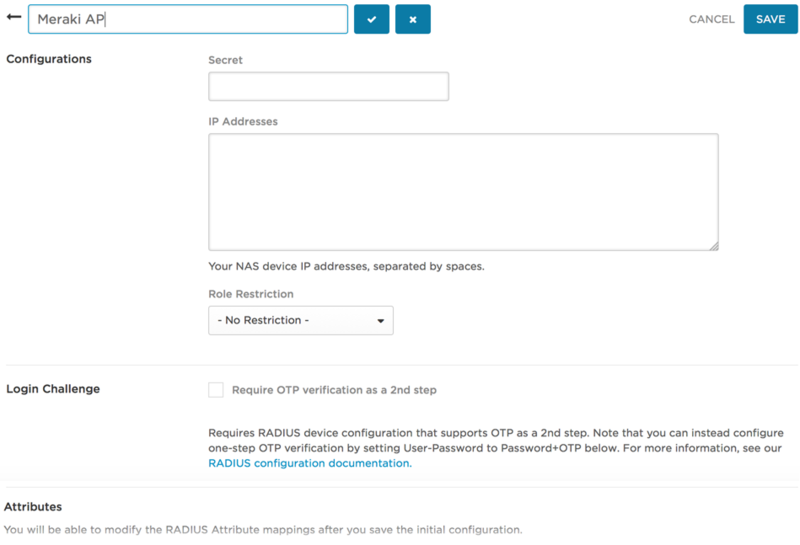 OneLogin has a RADIUS server interface that will accept RADIUS authentication requests from devices that support the RADIUS protocol, like Meraki firewalls for VPN. When OneLogin receives an Access-Request message, the user is authenticated against the directory linked to the user. 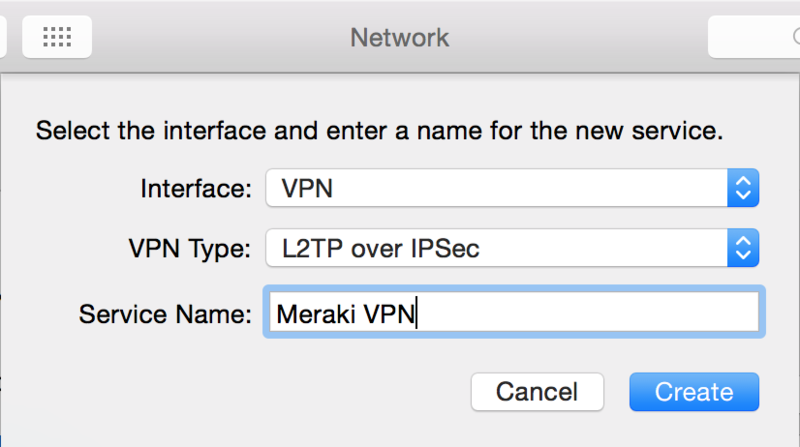 Enter a name that helps you identify this configuration; for example, "Meraki VPN"
In the Secret field, enter a string that will be used as the shared secret for your Meraki Firewall VPN service (security appliance). Note. A new shared secret can take up to an hour to be usable due to caching. 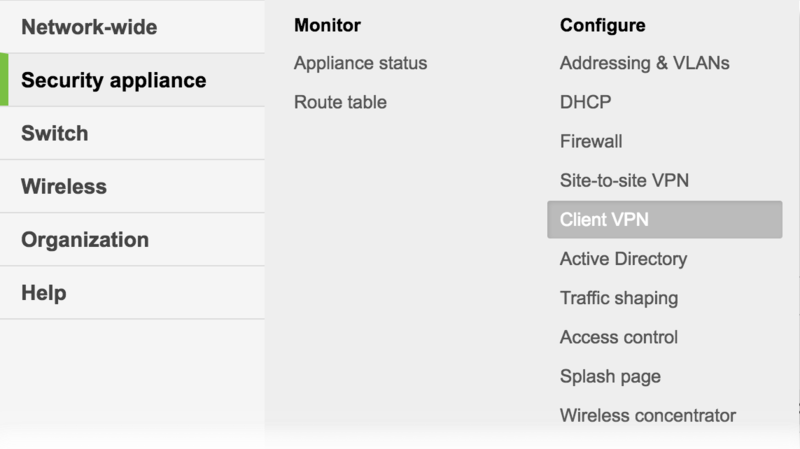 Enter the virtual IP address of your Meraki Firewall device (security appliance). For a typical Meraki VPN device that uses username and password for authentication, accept these defaults. Your OneLogin configuration is done. Now you can configure your Meraki Firewall VPN settings. Log into your Meraki portal as an administrator. Go to Security Appliance > Client VPN. Secret: Enter a new string to be the shared secret with VPN clients. This is NOT the same as the OneLogin RADIUS server shared secret that you entered in OneLogin, above. Your Meraki configuration is done. Now you can configure VPN clients. To communicate with your Meraki Firewall and authenticate using your OneLogin RADIUS server, your users must configure the VPN client on their device. 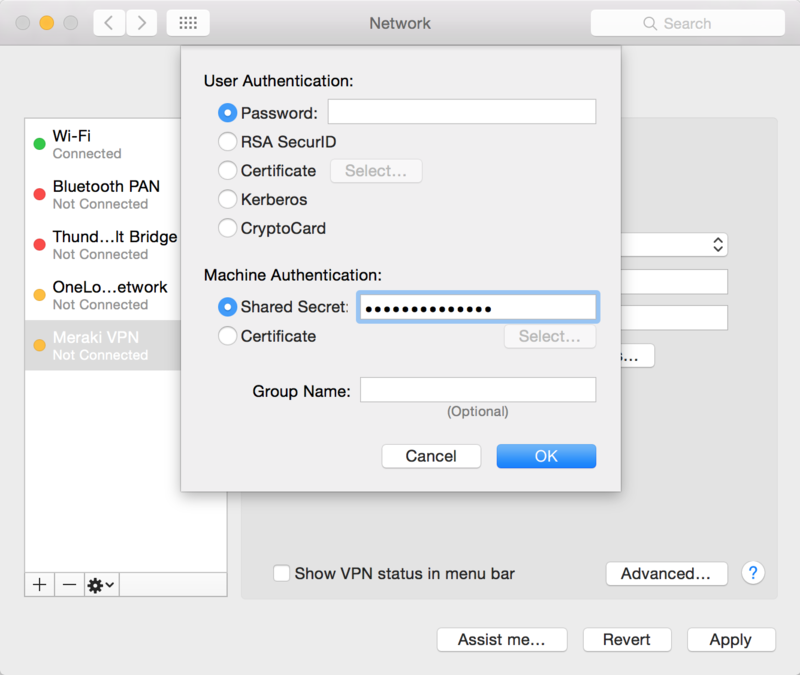 These instructions cover client VPN configuration for Mac devices. For Windows devices, follow the client VPN configuration documentation for your operating system, assigning the same values as specified in the Mac instructions below. 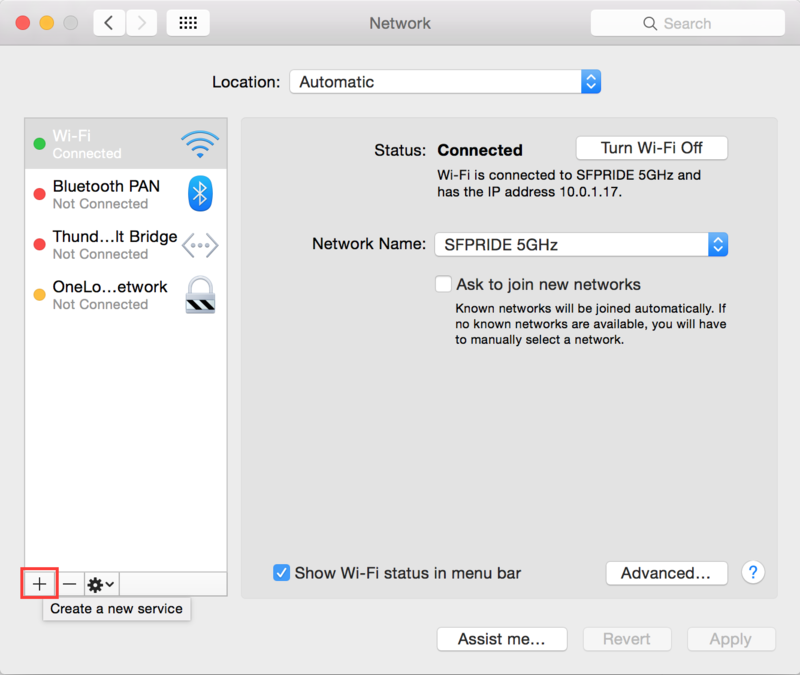 On your Mac, go to System Preferences > Network. On the Network page, click the plus + (Create a new service) button at the bottom of the network services list. Server Address: IP address of your Meraki Firewall appliance. This is the same IP address that you entered when you configured the OneLogin RADIUS server. Account Name: The email address or user name that you use to log in to OneLogin. Under Machine Authentication select Shared Secret and enter the secret that you entered on the Client VPN page in Meraki. On the Network page, click Apply to save the configuration. 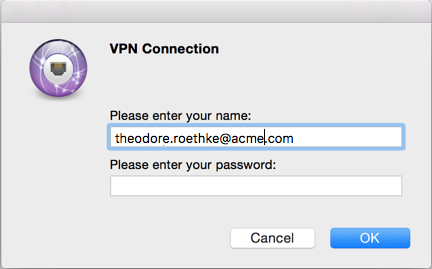 To connect to your network through the new VPN connection, click Connect, enter your OneLogin credentials on the VPN Connection dialog, and click OK.